We are proud to launch our new Eco Femme ‘Make Your Own Washable Cloth Pad Stitching Kit’! This kit includes pre-cut materials to make 3 Day Pad Plus size pads, sewing kit (including needle, thread and 3 stitch on press buttons), stitching & care instructions and menstrual hygiene tracking chart, all packaged in an A4 card envelope printed with our distinctive flower pattern. 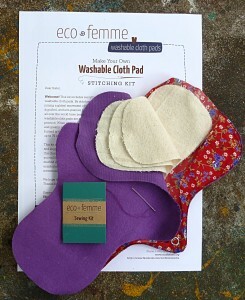 These are great if you enjoy sewing and want to make our pads for yourself or as a unique and fun gift for someone else. They can be stitched by hand or machine and are cost saving compared to buying finished pads. 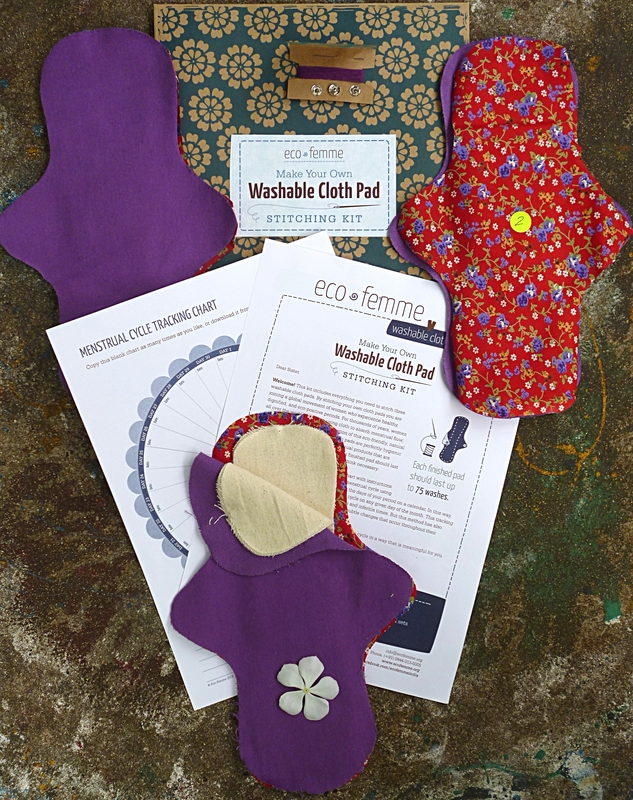 Our make your own kits are also going to be used in some of our educational programs, whereby school girls can make their own pad which may give them a greater connection to the way they experience menstruation as well as a feeling of accomplishment with their finished pad! We also have an instructional video which gives you a step by step guide to making your pads.